I wrote this book because I want to help people understand Islam. This is not an attempt to spread a religion or to denigrate it. I offer it as a gift to anyone seeking to bridge the gap in their understanding of Islam. In the end, education and understanding, and acceptance of other cultures will unite the world against hatred. Let this be a part of that education. 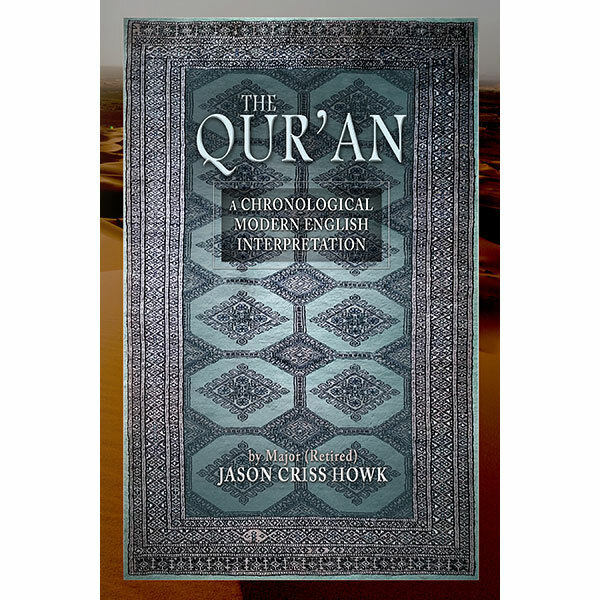 This book is intended for audiences that have very little familiarity with Islam, the Qur'an, or Muslim culture. It also may be beneficial for Muslims that cannot read Arabic but find the current English versions difficult to read. 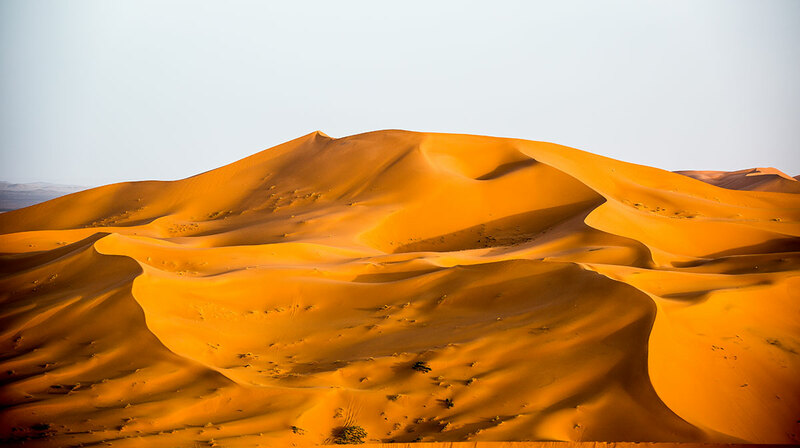 As a student of Islam and frequent wanderer of the broader Middle East region for over 20 years I have had many an occasion to read the Qur'an, visit mosques, and talk with my acquaintances about Islam. I took advantage of every opportunity in my studies to learn about Islam from many different points of view. I also focused on the little-known "Ibadhi Muslims" of Oman in my postgraduate thesis. 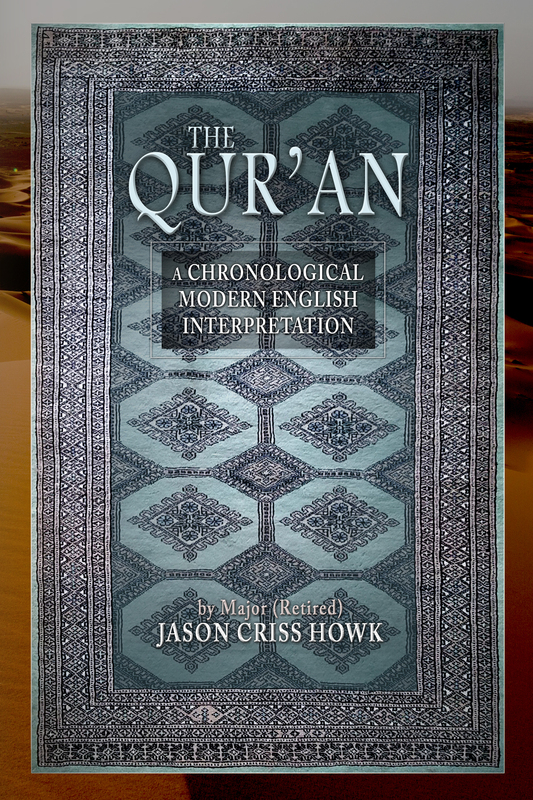 While many interpretations of the Qur'an have been written by Muslims (whose first language is usually not English), those translations are often difficult to read. I attempt here to make an easy-to-read version in an unbiased way using modern English. There are people that feel threatened by Islam as a religion. Some people assume that a Muslim translating the Qur'an into English softens the language to make it more pleasant and less threatening, so they can spread the religion. Other interpreters are even suspected of making the passages sound like God is condoning unlawful violence. On the other side of the equation, many translations or analysis of the Qur'an are done by non-Muslims that seek to find faults in the messages of the Qur'an or vilify the entire religion of Islam. I seek a middle ground here. My sole intent is to show people what is and is not in the Qur'an and thereby, strictly speaking, what could be expected from a Muslim that adheres to the majority of the teachings of the Qur'an. I think most readers will find that, like all religious people, not all Muslim adherents follow the teachings of the entire Qur'an. Major (retired) Jason Criss Howk, is an author, public speaker, adjunct lecturer, and advisor. He focuses on Islam, foreign policy, national security, leadership, and strategy. He retired after 23 years in the U.S. Army operating on joint, interagency, and multinational teams conducting defense, diplomacy, education, and intelligence missions. He holds an MA in Middle East & South Asia Security Studies from the Naval Postgraduate School, studied Dari and Arabic at the Defense Language Institute, and has focused his career on the broader Middle East and the Islamic World. He is a Malone Fellow in Arab and Islamic Studies and a former term member on the Council on Foreign Relations. During his career, Jason served as an assistant and advisor to three General officers involved with the Afghanistan war. He assisted Karl Eikenberry when he served in Kabul leading the U.S. effort to build the new Afghan National Army and to orchestrate the U.S. and UN-led Afghanistan Security Sector Reform (SSR) program. He later assisted Stan McChrystal while he was evaluating and developing the new Afghan War strategy. 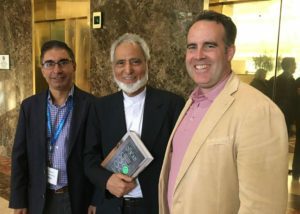 Finally, Jason assisted Sir Graeme Lamb as he partnered with the Afghan government to develop an internationally supported Afghanistan Peace and Reconciliation process. In all these positions and in many others Jason worked directly with Muslim colleagues from Middle Eastern and South Asian nations and dozens of military and diplomatic officers from the international community. Jason served on the FAO Journal of International Affairs editorial board, authored a monograph about the development of the International Security Sector Program in Afghanistan, and authored a thesis/book about the Sultanate of Oman (later translated into Arabic). He has written for numerous publications and worked with various media outlets. He is a writer-in-residence at Weymouth and a member of the George C. Marshall Foundation. Jason earned a governmental success medal from Afghanistan and has been honored with the Legion of Merit and two Bronze Star Medals, among other awards, from the U.S. Government. In his spare time, he mentors young adults seeking careers in foreign policy and national security. He is currently leading interfaith dialogues across the United States to educate people about the differences among the religion of Islam, the concept of Islamism as a political ideology, and the deadly ideology followed by the modern global network of violent radical Islamist groups. His aim is to increase interreligious understanding and promote peaceful coexistence. CNN: "America, don't abandon Afghanistan again"
"The recent news that the United States is closer to making a peace deal with the Taliban could lead to the precipitous withdrawal of US troops. This risks becoming another example of America abandoning Afghanistan completely. A wise withdrawal ensures that America and Afghanistan stay connected in friendship on all security, economic and diplomatic concerns. We cannot lose the gains we have made together." THE QURAN by Jason Howk NC Valor Dr. Alan Marshall, Head of School at Sandhills Classical Christian School in Pinehurst, NC hosts "N.C. Valor," a radio show about North Carolina veterans and their stories. N.C. Valor airs on Saturdays at 11:00 a.m. on WEEB 990 AM. Kellie J. McCoy is a retired U.S. Army officer with extensive operational experience in the Middle East. She is a graduate of the U.S. Military Academy at West Point and holds master's degrees in military art and science and environmental engineering. The conclusions and opinions expressed in this article are hers alone and do not reflect the official position of the U.S. Army, the Department of Defense, or the U.S. Government. The Strategy Bridge is a 501c3 non-profit, for-benefit organization which provides an online forum and select programming for discussion and development of Strategy, National Security, and Military Affairs. Nathan Finney, Richard Ganske, Mikhail Grinberg, Tyrell Mayfield, and Eric Murphy are the organization's board members and editors. The Bridge is widely read in the United States, United Kingdom, Australia, Canada, and Eastern Russia averaging over 30K original page views per month and carries thousands of followers across Medium, Twitter, Facebook, and LinkedIn, and an organic web page. 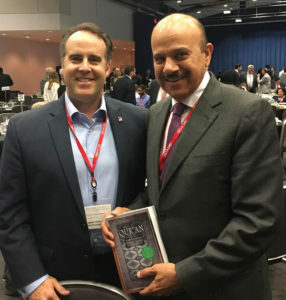 Jason Howk met the staff that was traveling with the Secretary General of the Gulf Cooperation Council (GCC) during a policy makers conference in Washington, D.C. He told them about his 3-1/2 year mission to decrease stereotypes about Islam and showed them his book. The SecGen’s executive assistant asked him to present a gift copy to the Secretary General himself. He was one of 3 key speakers. The GCC operates similar to the European Union. The Gulf States is headquartered in Riyadh Saudi Arabia. It was an honored to present my book to the GCC Secretary General Abdullatif bin Rashid Al Zayani of Bahrain. 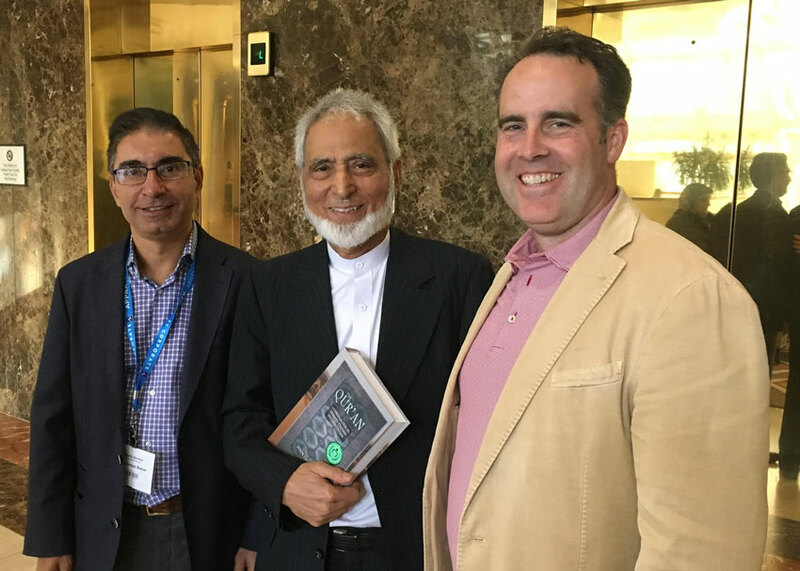 Major Jason Howk meets with Dr. Sayyid M. Syeed, president of Islamic Society of North America during the Association of Physicians of Pakistani-decent of North America- Virginia (APPNA). The meeting was facilitated by Dr. Muhammad Babar (Louisville, KY) President founding member Muslim Americans for Compassion (MAC). Read more on the author's website. A veteran owned podcast that stemmed from a military-spouses idea...? Send your questions about Islam and Muslim cultures at WJTANC@gmail.com. Listen to the Introduction to Islam podcast: "We're Just Talking About It"